Transfer of Property Act, 1881, S.106–Eviction–Court Fee-Shop is located where the rent law is not applicable—Therefore the plaintiffs are supposed to value their suit according to the amount of rent of the immovable property which is a shop payable for the year next before the date of presenting the plaint as per provisions of S.7(xi)(cc) of Court Fees Act-Court Fees Act, 1870, S.7. Comments Off on Transfer of Property Act, 1881, S.106–Eviction–Court Fee-Shop is located where the rent law is not applicable—Therefore the plaintiffs are supposed to value their suit according to the amount of rent of the immovable property which is a shop payable for the year next before the date of presenting the plaint as per provisions of S.7(xi)(cc) of Court Fees Act-Court Fees Act, 1870, S.7. Court Fee—Challenge to gift deed in which value of property is mentioned and that cannot be taken as consideration amount—Ad valorem court fee not payable. Comments Off on Court Fee—Challenge to gift deed in which value of property is mentioned and that cannot be taken as consideration amount—Ad valorem court fee not payable. Court Fee—Plaintiffs have sought relief of declaration as well as consequential relief of permanent injunction but have not claimed possession—Ad valorem court fee not payable. Rejection of Plaint—Issue of limitation being a mixed question of fact and law and the plaint cannot be rejected at the initial stage without leading any evidence. Comments Off on Court Fee—Plaintiffs have sought relief of declaration as well as consequential relief of permanent injunction but have not claimed possession—Ad valorem court fee not payable. Rejection of Plaint—Issue of limitation being a mixed question of fact and law and the plaint cannot be rejected at the initial stage without leading any evidence. Court Fee—Plaintiffs want annulment of agreement to sell—Plaintiff liable to pay ad valorem court fee on consideration received by them. Comments Off on Court Fee—Plaintiffs want annulment of agreement to sell—Plaintiff liable to pay ad valorem court fee on consideration received by them. 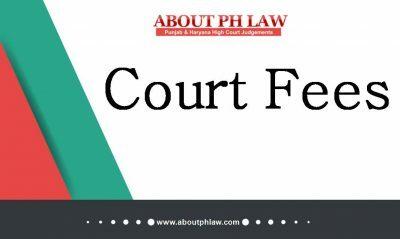 Court Fee—When main relief sought in the suit is cancellation of deed and any other relief if is inconsequential then advalorem court fee would not be payable. 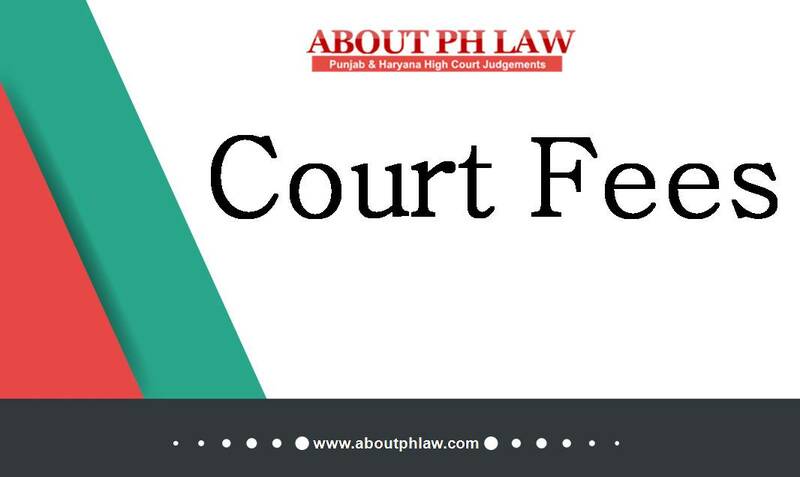 Comments Off on Court Fee—When main relief sought in the suit is cancellation of deed and any other relief if is inconsequential then advalorem court fee would not be payable. Court Fee—Agreement to Sell—Court Fee had to be affixed on total consideration as set in agreement and not on amount given. Comments Off on Court Fee—Agreement to Sell—Court Fee had to be affixed on total consideration as set in agreement and not on amount given. 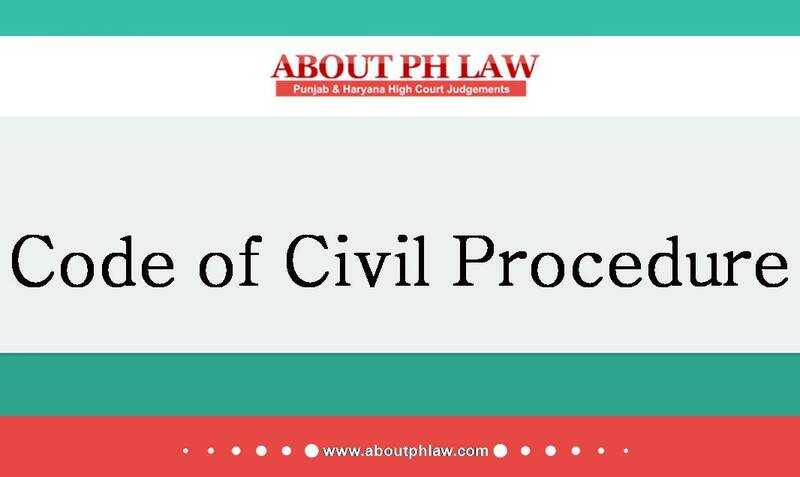 Rejection of Plaint—Inadequate Court Fee—No revision petition before High Court would be maintainable at the hands of the defendants, unless the question of court fee involves the jurisdiction of Court. Comments Off on Rejection of Plaint—Inadequate Court Fee—No revision petition before High Court would be maintainable at the hands of the defendants, unless the question of court fee involves the jurisdiction of Court. Court Fees—Ad valorem court fee not payable on suit seeking cancellation of gift deed and permanent injunction. Comments Off on Court Fees—Ad valorem court fee not payable on suit seeking cancellation of gift deed and permanent injunction.